​* Poetry Contest results are in. Click here for more details. * Poster Contest results are in. Click here for more details. * 2019 Spring concert is accepting application now. Click here for more information. * Parent-and-Me class: We offer classes for children 3 to 5 years old. Click here for more details. ​​* Effective immediately, two (2) of the twenty service points that each family must volunteer every school year must be earned via activities related to the Chinese New Year Carnival. This new requirement will NOT apply to volunteers serving in dedicated positions that are already granted 20 service points. Click here for more details. 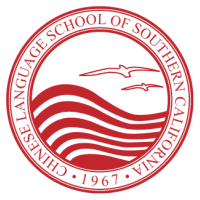 We are a non-profit, parent-volunteer run Mandarin language and culture school with approximately 300 students. We offer 19 classes for children ages 5-18, as well as beginning classes for teens and adults who have little or no prior language experience. We also offer Parent-and-Me classes for children 3 to 5 years old. Classes are run on Saturday mornings during the school year, from September through June. Westside Chinese School is entirely run and managed by parent volunteers. Pay a visit any Saturday morning during the school year, and you'll see what a difference this approach makes. Because the school is family-run, it's decidedly family-friendly. From the student talent shows and the fresh-cooked Chinese meal served every weekend at recess, to the Chinese culture festivals and annual summer camping trip, Westside Chinese School is a place where everyone in your family - not just the ones studying Chinese language - can learn and grow.